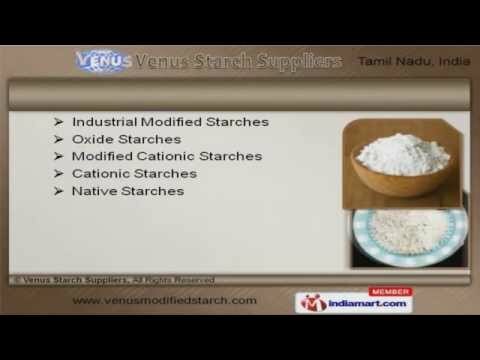 Welcome to Venus Starch Suppliers. Manufacturer & Trader of Dextrin, Corrugate Paste and Starches. The Company was established in 1989, at Salem. Our Good financial position & In-house quality testing laboratory help us to achieve a present repute in the market. Utmost client satisfaction, Rich industry experience & skilled professionals are the reasons behind our success. Modified Starches, Starch Adhesives & Construction Materials are some of our products. Drilling & Pregilated Starches are available under Modified Starches. We have gained tremendous expertise in providing Cationic & Native Starches. Our product range also comprises of Yellow, White & Industrial Dextrin. We also provide Industrial Tapioca Starches that are extremely reliable. Wall Care & Construction Materials offered by us are a class apart.